Two of the many labeling, packaging and printing services offered by Action Packaging are custom silk screening and color printing. In its simplest form, silk screening is a stencil process of print making, where the required design is placed on a screen of some type of wire mesh or silk, with the unfilled – or blank - sections covered with a blocking material; ink is then forced through the wire mesh on the printing surface such as folding cartons or various other packaging materials. Magnetic Material – Sheet, etc. From the smallest to the largest sizes, Action Packaging can assist every customer with their unique custom silk screening needs, in small numbers up to high volume production quantities. 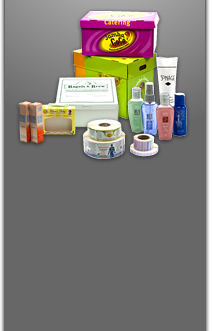 Action Packaging has worked with a wide range of industries, such as the beverage, food and cosmetics sectors. 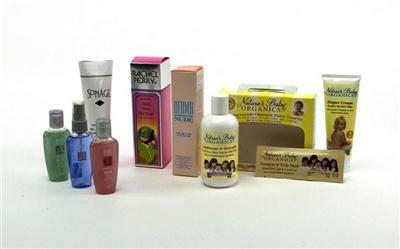 Action Packaging also has extensive color printing abilities, with full and half web presses. Our sheetfed presses can handle from one to six colors for folding cartons and litho sheets. Other in-house service offerings include full pre-press services, and complete design and production capabilities. Large format printing is also available. Action Packaging specializes in running simultaneous long and short run projects, especially for custom labels, film and custom silkscreening Other color printing specialties include media kits, annual reports, calendars, and brochures – virtually any professional documentation requiring color printing. Additional color printing processes available are in-line varnish and perforating, along with a Xerox one-color DocuTech system, sheet and web services. As noted above, Action Packaging has the in-house capacity to handle multiple large silk screening and color printing projects for numerous clients simultaneously. With over 50 years’ combined experience in the custom labels, printing and packaging business, the Action Packaging staff is ready to handle your custom silk screening and color printing project – call us today to take advantage of our years of expertise.